If you have not yet microchipped your pet, your veterinarian may well encourage you to do so, and with good reason. Countless numbers of animals are lost or stolen every year, and a large proportion of these are never reunited with their families. This can be a heart-breaking situation for any loving owner, particularly if you could have increased the likelihood of your pet being returned to you. Fortunately, pet microchipping significantly improves the chances of missing animals being reunited with their owners. One of the main reasons for this is that, unlike collars with ID tags, microchips cannot fall off, be taken off or be tampered with. This means that your contact information is permanently attached to your pet and can only be changed by you as the registered owner, after you have passed the stringent security checks put in place by your microchip provider. Microchips are widely used across many industries including the veterinary service. Those that are implanted into animals are approximately the same size of a grain of rice and are inserted just under the skin where they cannot be seen or felt. The process of putting them in place involves a very quick, painless injection and there are no lasting effects for your pet. Exactly where on her body it will be placed will depend on her size and breed, but for most dogs and cats this will be in the area at the back of the neck. Each microchip contains a unique registration number, along with the contact number for the registry for that particular brand of chip. Whichever service finds your pet will then be able to contact the microchip provider for the contact information provided at the time of registering your animal. For this reason, it is essential that you add your microchip provider to your list of people to inform in the event that you move to a new house or change your contact numbers. Failing to do so could see the shelter or vet clinic that finds your beloved animal failing to be able to get in touch with you – a waste of time and expense on your part and putting you at risk of not being reunited with your pet. When your pet is discovered, she will hopefully be taken to a local veterinary center, shelter or dog warden. Most of these services have invested in microchip scanners that are capable of reading the information stored on your pet’s chip. To do this the handler needs to simply hold the scanner over the area where the microchip is likely to be. This will cause the implanted chip to emit a radio frequency signal containing that unique registration number. Pet microchips have no working parts, no power source and are completely inactive unless they come into close proximity to a radio frequency scanner. They do not wear out and should not require replacement during your pet’s lifetime. The material that encapsulates the microchip is biocompatible, meaning that it is non-toxic and should be accepted by your pet’s body with no adverse reaction. 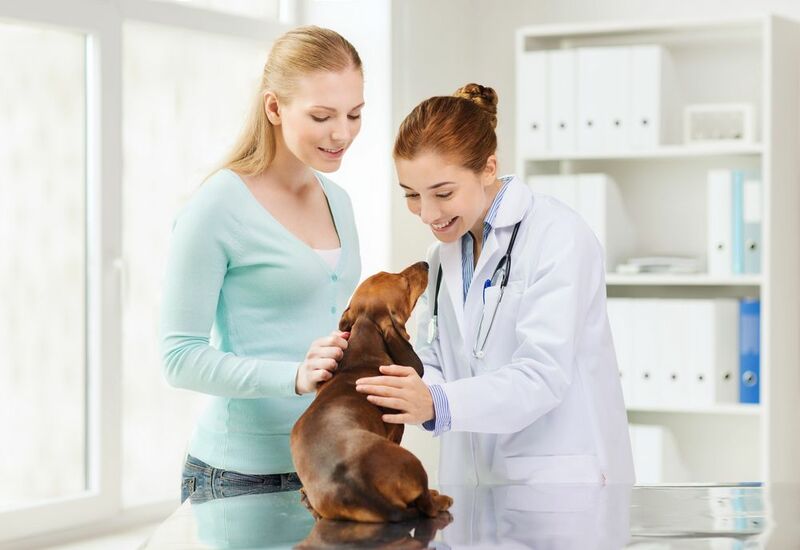 Veterinary experts agree that the slight natural risk associated with their placement is far outweighed by the benefits offered by the procedure. If you have not yet had your pet microchipped and you have further questions about the procedure, or if you would like to schedule an appointment to register your pet with a microchipping database, please do not hesitate to contact and get in touch with our clinic.